Spring is on its way, but winter is still holding on…. I was thinking of family that I have that moved to the Chicago area this year, and how they may need to find ways to keep warm, so for the holidays I made them some gloves. They came out well enough I decided to share them in a pattern. 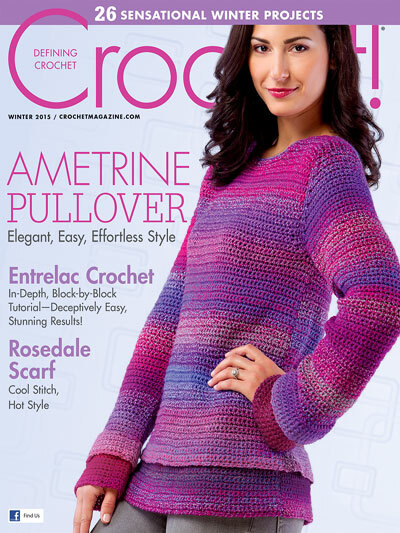 The stitch pattern is worked in a spiral, upon a base of ribbing that makes up the cuff. 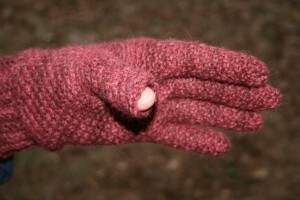 Instead of making the new popular option of fingerless gloves, I went ahead and added fingers. I admit fingers seem tedious and intimidating, but I found them much easier then I first thought. 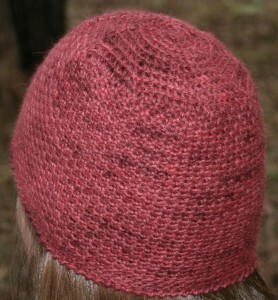 They worked up quickly in the same stitch pattern and add the practicality of warmth to the project. I also left the option of having a texting glove, by not completing the thumb, but having it long enough to cover the tip. 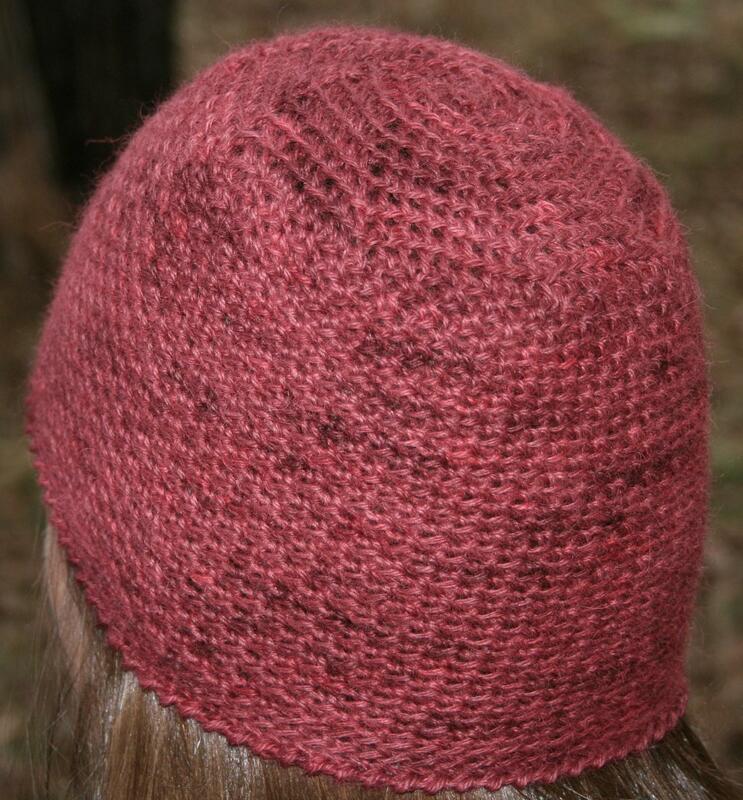 Then the most amazing part…I still had enough yarn left in the skein to make a matching hat! I worked this design up on an alpaca yarn from Lisa Souza Dyeworks, so it feels yummy and makes a very nice cold weather glove and hat set (at least for Chicago weather, it might be fall and spring). 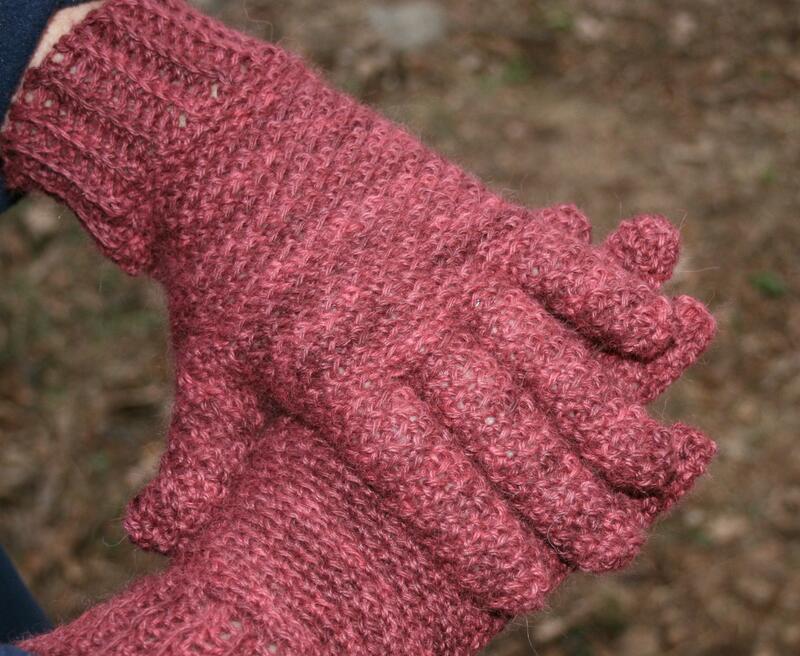 This design is sized for both men and women, in the gloves and the hat, ensuring that with 1 skein you can get an entire set of matching gloves and a hat! So far it appears that my family members are enjoying them and keeping warm. If you would like to check out this pattern it is available for sale on Ravelry and Crochetville for $5. I call the “Rice Paper Weave Glove & Hat Set”, the name comes to me from the stitch pattern, and to me it reminds me of the placemats I have found at some Asian restaurants, which are woven but have great texture. The mats are probably made with bamboo but my mind keeps thinking of rice…for some reason it just seems a little more fluid. 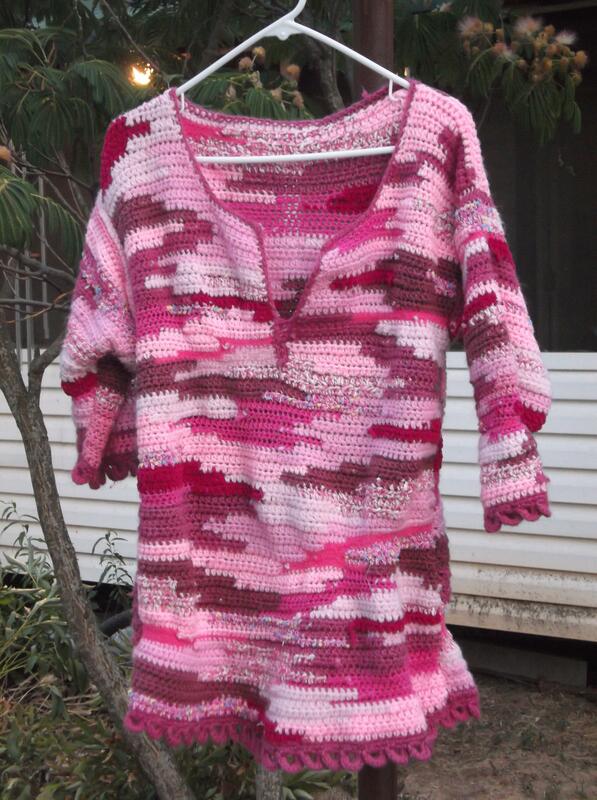 Anyway, I hope you want to attempt to keep your fingers warm and will check out my latest design. 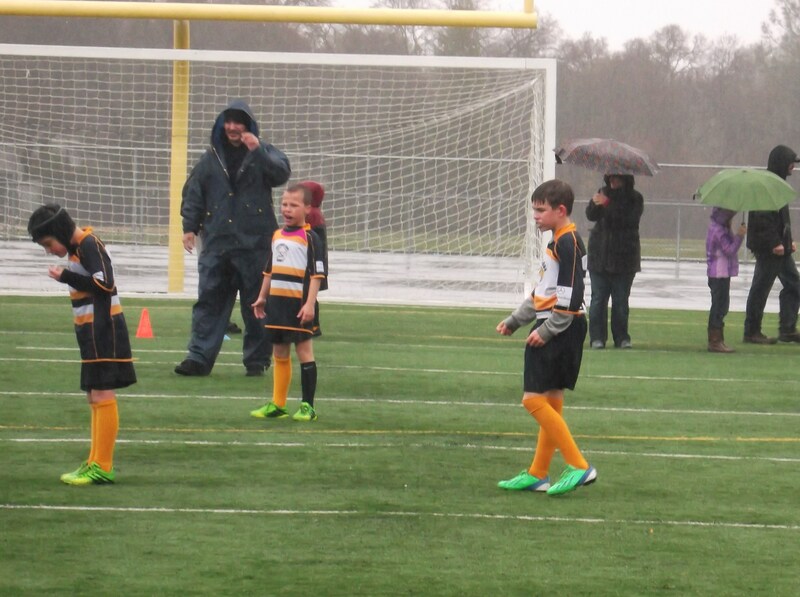 Rugby in the rain. We received about 8″ with this storm, completely welcomed after nearly 2 months of dry and warm weather. 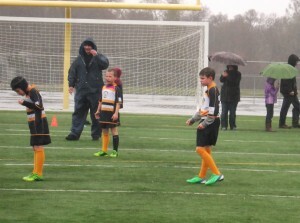 The other day, while standing in the long overdue rain, watching my son’s Rugby game, I was thinking about what makes my crochet hat and gloves warmer then my denim jeans. The answer is simple, but also kind of surprising; air. The more little pockets of air that are trapped next to the skin, the warmer you can stay. The process used in twisting the yarn and creating little knots, creates little pockets that trap air. 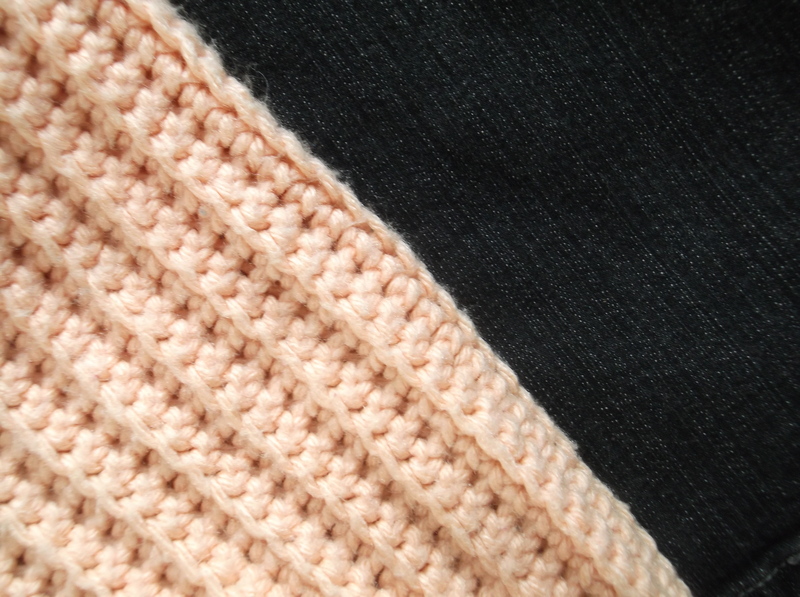 Depending on the yarn and stitch combination, different levels of warmth can be created; this is why lace can be warmer than expected. The more things are compressed and made tight and dense, does not necessarily create a warmer fabric as it can press the air out of the work. This is true with the yarn as well. 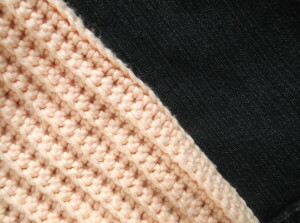 Often it is realized that wool is warmer then bamboo, this is because of the fibers that are used. Bamboo, even though it is a plant fiber, is processed and extruded in factories creating a long smooth yarn that absorbs moisture, and thus in hot weather will keep you cooler by wicking away perspiration and allowing it to be evaporated. While the animal fibers that are utilized in wool yarns, are created naturally to keep the animal warm and dry. This is done by the crimp of the fiber itself. 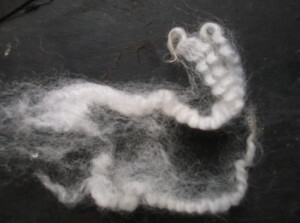 Wool fibers are not like hair, they are crimped (like the fashion in hairstyles from the 1980’s), it has stretch (like elastic) and it grows in clusters (a patch grows together and can be plucked out together as one group). This nature helps to create air pockets in the yarn that is being created (depending on the process used, more or less air can be trapped). So while my woven denim might be durable it does not offer as much warmth because the amount of trapped air is limited. But that hat, made only out of single crochet ribbing and my gloves made from back loop single crochet kept me quite toasty in comparison.